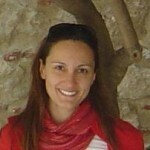 Stavroula Sokoli, PhD in Translation Theory from the Universitat Autonoma de Barcelona, Spain; BA in English Language and Literature from the Aristotle University of Thessaloniki, Greece. PhD thesis titled “Subtitling Norms in Greece and Spain. A Comparative Descriptive Study on Film Subtitle Omission and Distribution”. Teaching experience: tutor at the undergraduate course of Hispanic Language and Civilization, Hellenic Open University; at the postgraduate course “Tradumatica: Translation and Localization”, Universitat Autonoma de Barcelona; subtitling at Metafrasis School of Translation in Athens. She has coordinated the EU-funded project “Learning via Subtitling” (Socrates/Lingua II) and she has published about 20 articles and book chapters related to audiovisual translation and subtitling in language teaching. She has also worked as a professional freelance translator, subtitler and interpreter. - Sokoli, S. (2009) “Subtitling Norms In Greece And Spain” In Anderman G., and J. Diaz Cintas (eds) Dubbing And Subtitling For The Screen. Basingstoke: Palgrave Macmillan.